Stylish and casual, a flat cut band will make a statement that sets your watch apart from the rest. There is no greater shame to a beautiful timepiece than a subpar strap to hold it in place. Give your watch the treatment it deserves with a carefully hand-crafted band that will keep your wrist looking great from every angle for years to come. 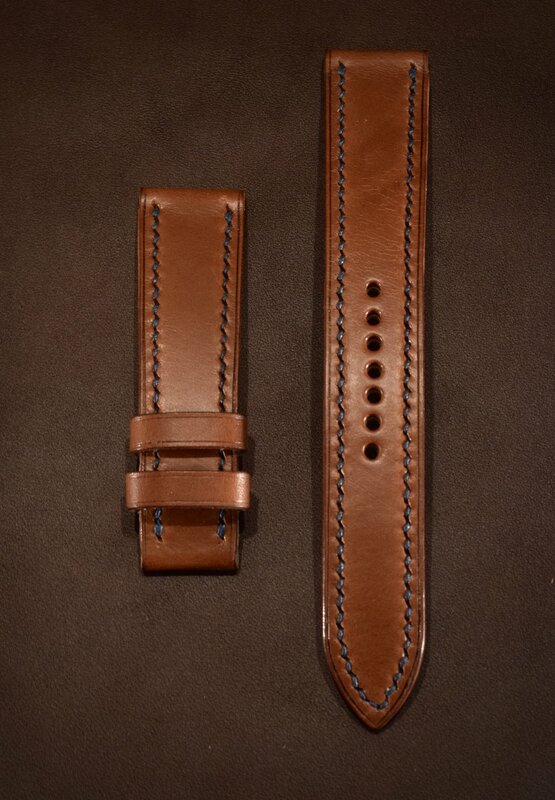 Choose from a variety of luxurious leathers to create the perfect band to match your watch and personality. 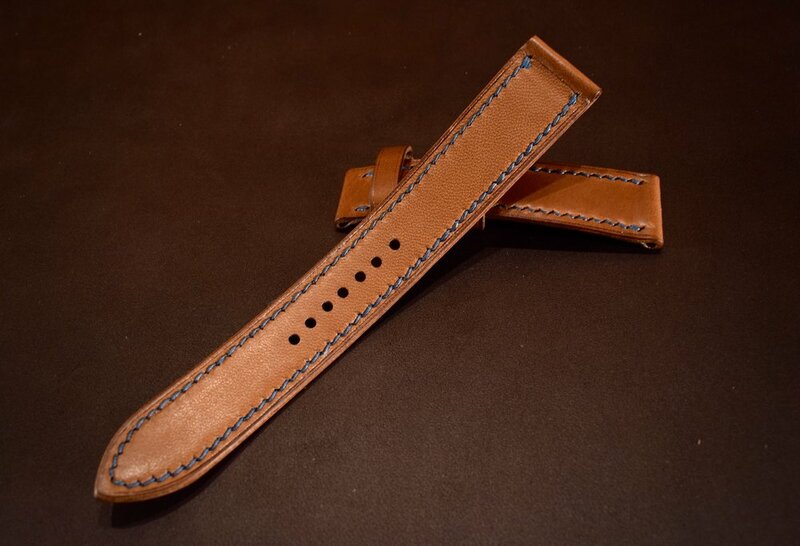 Each band is made using only full grain leather that will grow even more beautiful with age. The process begins by transferring my personal template to leather before carefully cutting each piece by hand. Extra reinforcement is given to the lining layer to ensure it stays strong over the years. 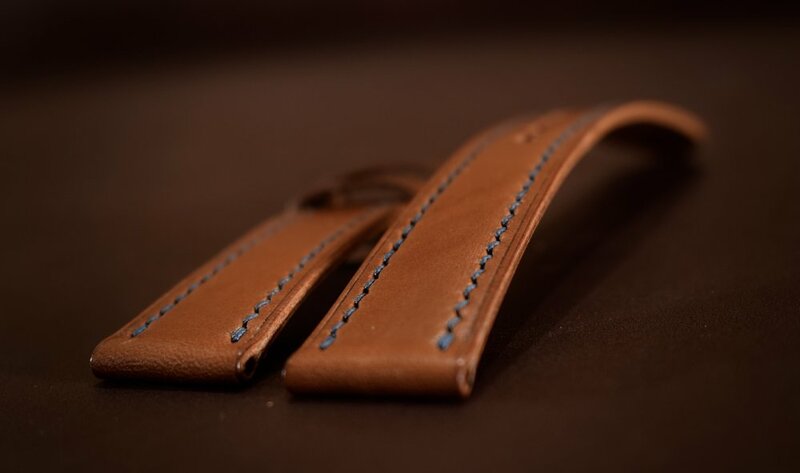 The outer, inner, and lining layers are then hand sewn in place using the incomparably strong and beautiful traditional saddle stitching technique. Edges are then hand burnished and polished to a natural sheen or layered with edge paint and heat treated for a smooth finish according to your preference. Finally a coat of conditioner is applied and hand buffed before the band finds its way to you. 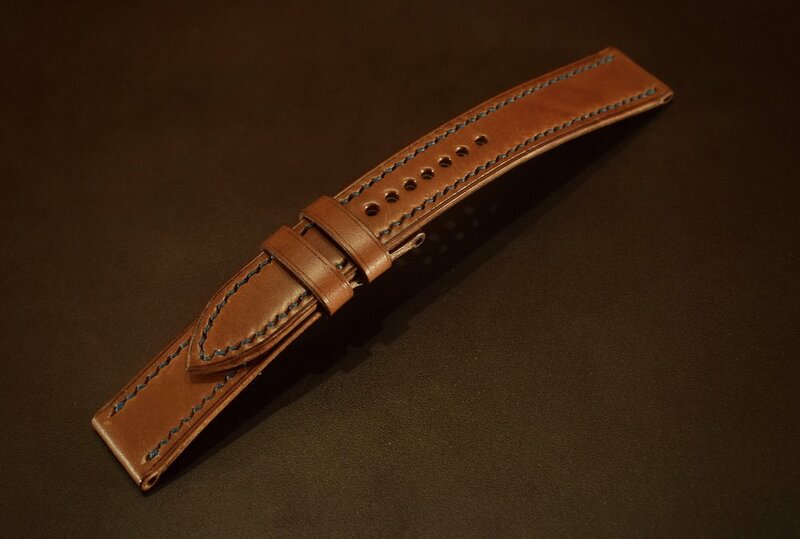 Begin the process of creating your hand-crafted watch band today. In order to ensure the band properly fits the watch face, please measure according to the chart linked in the description above.